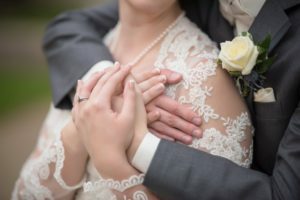 ← Wondering Which Are the Best Wedding Songs of 2018? Here They Are! There’s nothing more soothing or romantic than a well-created love song – and the R’n’B genre abounds in this type of songs. As a matter of fact, R’n’B is so rich when it comes to love songs that you should definitely consider including at least one of them into your wedding day (for a special moment or, well, for your guests to dance to). What are some of the best and most romantic love songs in the R’n’B genre? Read on to find your inspiration. •	John Legend, So High. Your love makes you feel high – so high that you don’t ever want to come back. And who else to sing better about this, other than the uncrowned king of love songs and the very “owner” of a splendid love story himself? John Legend’s music will enchant your soul and make you feel truly amazing as you dance through the dimming lights and show the world just how much you love each other. •	Sade, By Your Side. This is probably one of the very best love songs ever created. Once you listen to it, it takes over you, your mind, your soul, your thoughts, and your very love story. It embraces you in the most beautiful way there is and it helps you explain to the world what you feel for your loved one. A truly magnificent song that deserves to be in every wedding playlist! •	Beyoncé, 1+1. She is a real queen – not the kind that sits on a throne and looks down on her subjects, but the kind who knows how to get into their hearts with the power of her music and her lyrics. She knows how to create songs that are genuinely empowering just as much as she knows how to create songs that are deeply sensitive and romantic – and this one falls into the latter category. You will love dancing to it at your wedding! •	Usher, Here I Stand. Remember when this song played in your headphones from a CD mix you made yourself? Those times may be long gone – but this song has the power to take you back and make you feel freshly in love every single time you listen to it. A truly amazing choice for a wedding playlist! Looking for the best wedding DJ in the Metro Detroit area? Contact Daryl Scott at Memory Maker DJs and let’s talk about your wedding music. You won’t regret it! This entry was posted in Uncategorized and tagged #bestRNBsongsforWedding, #rnbromanticsongs, #rnbweddingsongs. Bookmark the permalink.